Hi, my teammates and I are using Quill by Story Studio to make a project. Is there anyway I can export the Quill file to be processed using shader and Unity 3D? Because saving the project gave me a RAW file of what we drew, and it can not be read by coding software such as Sublime Text. (In other words, saving the project gave me a .qbin file of what we drew, and it can not be read by graphic software such as Unity 3D)Thanks! 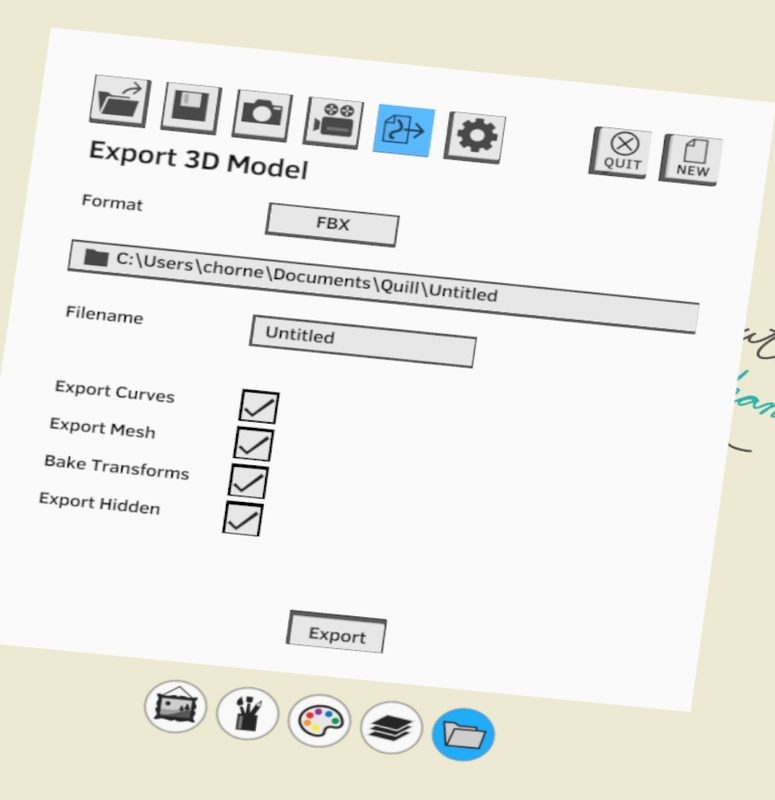 Use the export to FBX/Alembic feature! It supports FBX and Alembic. I have a similar question about the workflow between Quill and Unity. I was able to export Alembic file and Fbx file from Quill, but when I import them into Unity, the shaders didn't show any color. Still have the same problem in Unity. Me too, and how to make animation of stroke? Please help. Btw, I tried Unreal and applied the vertex color node on the FBX file, and it works. I still don't know how to do animated stroke. i think I read somewhere that they used a Time node from Houdini. I don't know how to use Houdini. Shame - are we lost now that Fb has abandoned? that will make Quill FBX drawings show up correctly in Unity.